The BKF Recovery tool scans, recovers and extracts files from corrupt Windows BKF files. It supports Windows NTBackup and VERITAS Backup Executable BKF files. No size limitation imposed on the recovery of backup. Quick scan option to scan less corrupted BKF file. Advance scan option to scan severely corrupted BKF file. Range based scan for selective scanning of BKF file. Saves the scanned BKF file to extract BKF data in future. View recoverable file names from the damaged BKF file. Quick search BKF items for selective data extraction. The backup data is kept intact during the explore bkf file windows. Save recovered file at original or different location. Windows 8 OS & all below versions supported for recovery. Recovers backup files created by Veritas/Symantec (Compressed). Provided support to View and Extract Zip files. The demo version gives a preview of the recovered BKF file but restricts the extraction of any item. All the above mentioned issues and many more, lead to the corruption of windows backup files that end up generating errors like The BKF File Is Unusable during the restoration process. Therefore, at such point only the recovery will help get back data backed up on the BKF file for which a third party tool like recover windows bkf file is the best approach to be made. Why It Is Globally Accepted? 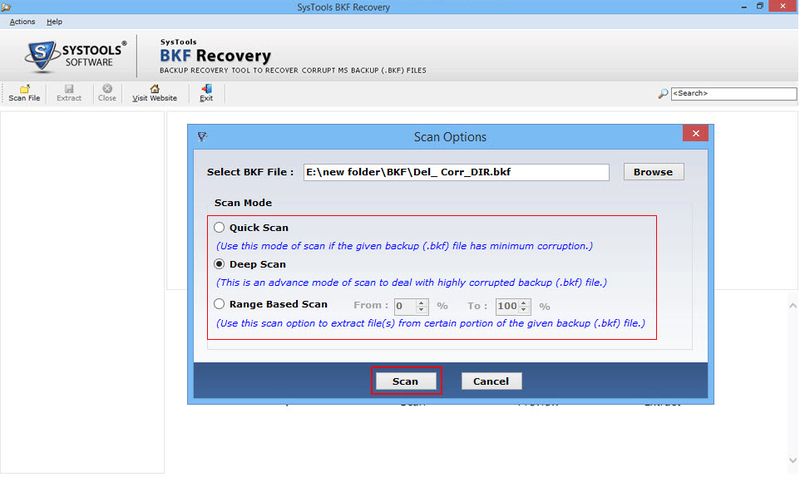 The BKF Recovery tool has gained acceptance worldwide owing to its efficiency and robustness in recovering corrupted BKF files and also its easy availability to worldwide users through online and purchase through resellers. 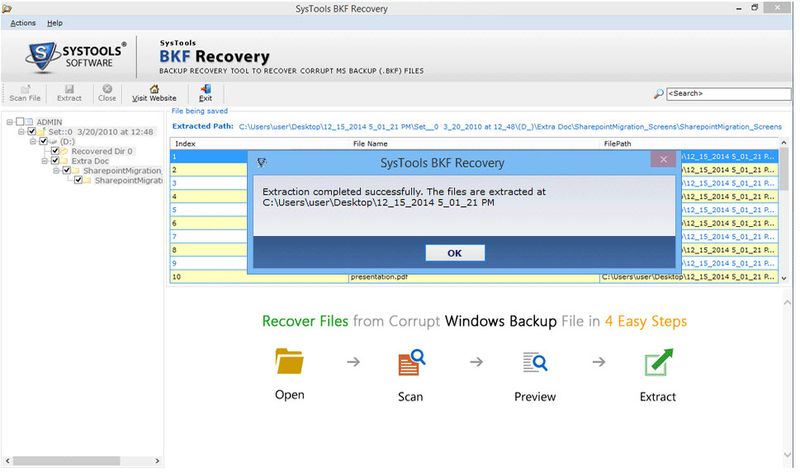 Yes, with the help of BKF Recovery software the healthy data from the corrupted BKF files created over any Windows platform can be retrieved. Further the recovered backup components can be restored back on Windows 8, 8.1 and all lower versions of the respective Operating System. I have got some backup files that have got higher levels of corruption. I need to recover these files as the data incorporated within is crucial. The tool is integrated with ‘Deep’ scan algorithms that help recovering data from highly corrupted backup files. Yes, with the help of ‘Range Based Scan’ mode, the specified percentage of data from the damaged BKF can be recovered and restored back on Windows machine. “ We have used restore data from huge backup file, we fear that software will hang or it shows compatibility issues during recovery. But we are highly impressed with working of tool that has not shown any kind of complexity while working with large sized BKF file. Thanks! 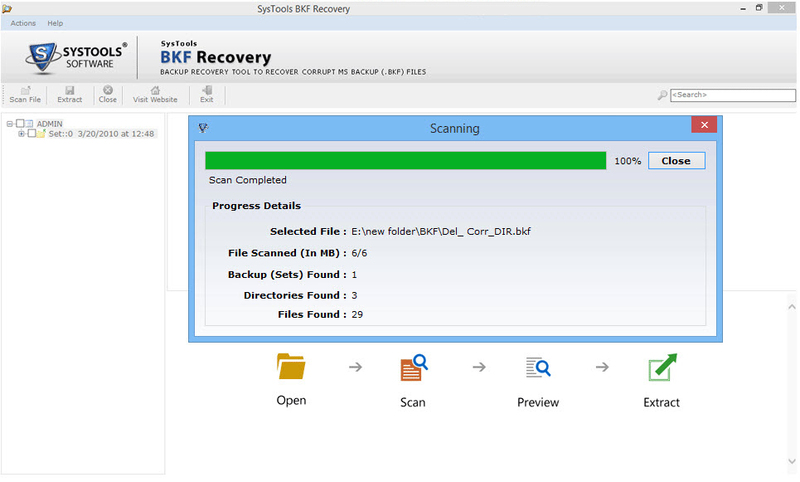 "Search feature of BKF Recovery software is brilliant feature, we have need of extracting only PPT files from corrupt backup, and the tool helped us to extract only Power point files that save lot of precious time of us." Thanks for such powerful team!